Bank of Ireland has caved in to public pressure following a public outcry over its plans to heavily restrict cash transactions in its branches. The bank came in for sustained criticism after the Irish Independent revealed yesterday that it plans to restrict over-the-counter cash withdrawals to a minimum of €700 and cash lodgements to a minimum of €3,000 in an effort to push customers towards using ATMs and self-service machines. 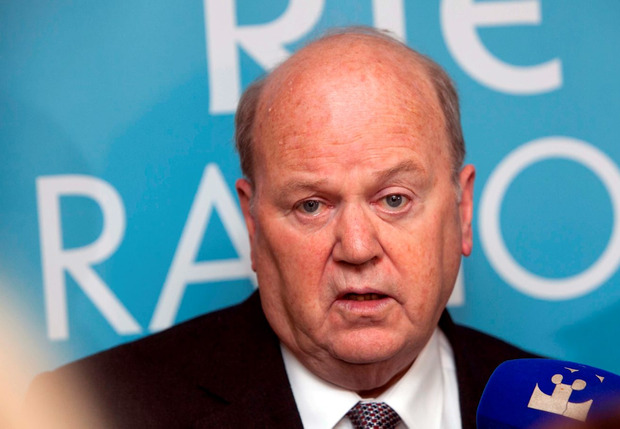 However, after criticism from Finance Minister Michael Noonan, as well as groups representing consumers, farmers, older people, rural dwellers and bank workers, the bank conceded that what it called "vulnerable" customers could continue to get cash and make withdrawals of smaller amounts of money at branch counters. The changes prompted fears of a renewed bout of bank branch closures and staff lay-offs in the wake of the bank's move to severely restrict counter-based cash transactions. Mr Noonan described the changes as "surprising and unnecessary", adding that he expects the bank to "fully honour" its commitment to "vulnerable customers". Bank of Ireland said it would continue to allow older customers and those unfamiliar with technology to make cash transactions over the counter. "Bank of Ireland would like to confirm that vulnerable customers, together with those elderly customers who are not comfortable using self-service channels or other technology solutions, will be assisted by branch staff to use the available in-branch services." However, other banks are now expected to follow the lead of Bank of Ireland by moving to set strict limits on over-the-counter cash handling. It comes after around 200 bank branches were closed, mainly in rural areas, during the financial collapse, with at least 10,000 retail bank staff laid-off. Banks including Bank of Scotland, Danske, ACC and Irish Nationwide have already closed, limiting banking options for customers. Now there are concerns that the move by Bank of Ireland to effectively become a cashless bank will prompt more branch shut-downs and redundancies. Deputy chairman of the Consumers Association Michael Kilcoyne said other banks were set to mirror Bank of Ireland and discourage customers from withdrawing and lodging cash over the counter. This would make branches in rural areas less viable, he warned. "The implications of the Bank of Ireland move are very severe. If it gets away with this it will get rid of more staff and close branches. "This will be a further blow for rural Ireland," he said. Mr Kilcoyne predicted that AIB, Ulster Bank and Permanent TSB would make similar moves to curtail cash handling. And banking union IBOA said it is seeking a meeting with Bank of Ireland boss Richie Boucher over concerns the changes would mean more job losses. The Irish Farmers' Association said the changes would cause great difficulty for some farmers who are not familiar with the bank's online system. Age Action accused the bank of ignoring the needs of older people by setting high limits on over-the-counter transactions.